U.S. Department of Health and Human Services, Rockville, 1986. University of Chicago Press, Chicago, 1982. University of Chicago Press, Chicago, 1961. In AEdibus Richardi Tottelli [and] Imprinted by Richard Totthil, London, 1583 & 1590. Dundonnell Cause. 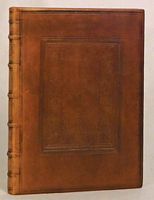 Report of the Trial by Jury, Thomas Mackenzie against Robert Roy, Esq. W.S. Printed for Daniel Lizars, at . . . the New North Briton [etc. ], Edinburgh, 1830. Printed for J. Debrett, London, 1788. Printed by J. Fletcher [etc. ], Chester, 1788. Printed by J. Bell . . . And G.G.J. & J. Robinson, Edinburgh, 1787. Only edition of the principal work of John Millar's eldest son, himself an advocate, a major contribution to insurance law, particularly marine insurance, treating of both English and Scots law, with Lord Mansfield's decisions "hold[ing] first place"
American Bar Association, Washington, 1989.